Fierce Festival | What is an Algorave? Find out at Club Fierce Sat 4th October! What is an Algorave? Find out at Club Fierce Sat 4th October! If you’re looking for a new kind of raw, unpredictable night of dirty industrial/techno sounds and truly live electronic music: this is it. No DJ’s, no decks, no producers, no limits. 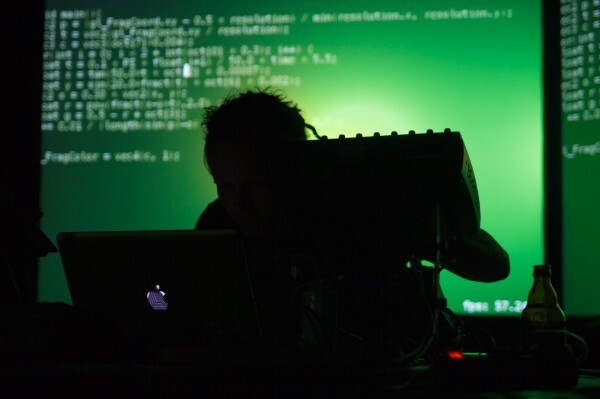 The Algorave brings the cerebral world of live coding and the dirty dancing of raves together to form a new wave in club culture in which performers improvise their music live on stage by writing and rewriting code. Algoraves embrace the alien sounds of raves from the past, and introduces futuristic rhythms and beats made through strange, algorithm-aided processes. It’s up to the good people on the dance floor to help the musicians make sense of this and do the real creative work in making a great party by providing the energy for the party. Not a coder? Don’t worry: you don’t have to know code to enjoy an Algorave. Everyone who is into new electronic music and underground raving will feel right at home. Fierce is excited to be hosting an Algorave on Sat 4th October with leading exponent Alex Mclean. Have a peep here. The event will be complimented by visuals from Birmingham local Antonio Roberts. Next: Would you like to take a car to bits with your friends and be part of an international festival?